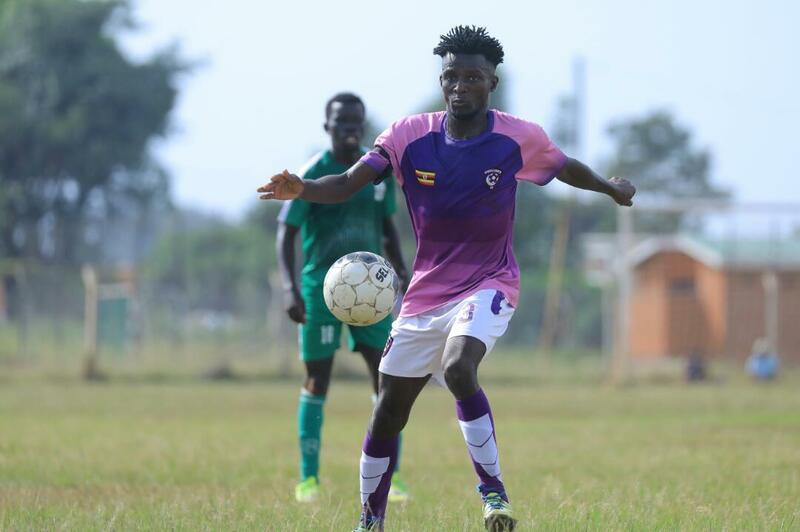 BOMBO – UPDF upset the odds and inflicted a first loss of the season on FUFA Big League-Elgon ground leaders Wakiso Giants. Starting the day in fourth and just two points away from the playoff spots, UPDF played their hearts out and had Amos Muwonge and Sydeny Ssenyonga to thank for the goals. The game started at a high tempo with both side intent on getting an early goal. UPDF got the first opportunity of the game but Robert Wurube’s delivery from a corner kick was headed agonizingly wide of the target by defender Ronald Owinyi. The home side were taking charge of proceedings and moments later, Wurube saw his free-kick from just outside the area, flash over the bar. 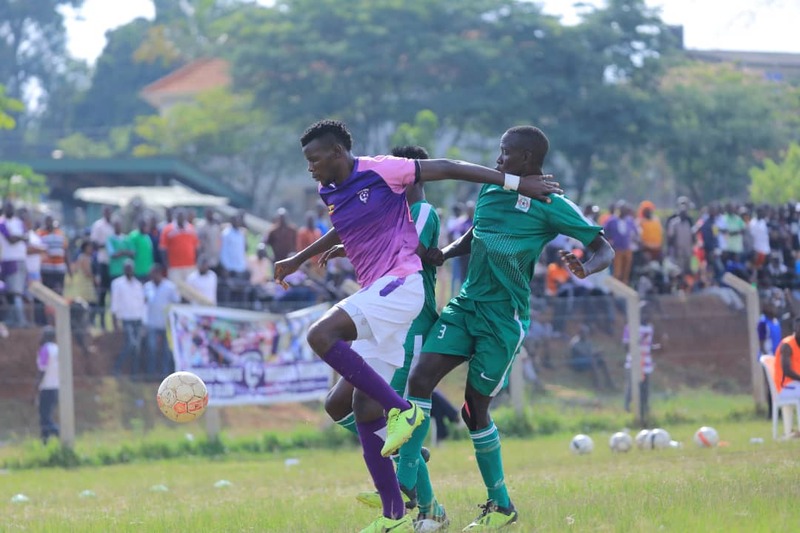 Wakiso who took their time to create a first real opportunity, did so on 23 minutes but Geoffrey Luutu’s frist time shot after he was played in by Yasin Mugume, was expertly tipped over by UPDF custodian Joseph Yiga. From the resultant corner, Karim Ndugwa rose highest and connected with Mugume’s delivery but his header went wide of the target with Yiga beaten for dead. The last chance of the first period fell to Evans Tugume who pounced on a lose ball outside of the Wakiso area, curled a shot towards the far corner but Yasin Mugabi parried it out for a corner. At the start of the second half, Yiga fumbled with a Mugume cross before the ball fell to Ivan Kiwewa who missed the target on the rebound. Ivan Kiwewa in action against UPDF on Thursday. Frustration started setting in for the Purple Sharks and it was clear as day light when Hakim Ssenkumba was booked for descent, three minutes past the hour mark. Moments later, Luutu who was virtually invisible in the second period, tried his luck from distance but shot wide of Yiga’s goal. In and attempt to add fresh legs going forward, Wakiso made their first change on 71 minutes with Duff Lubobi replacing Kiwewa. However, Lubobi was greated with the harshest of welcomes as his side concedes immediately. Ayub Kisalita who was slotted into center back in the continued absence of Hassan Wasswa, headed weakly toward Mugabi, Amos Muwonge pounced onto the ball, rounded the custodian and slotted into an empty net to put UPDF 1-0 up. The home side could have added a second instantly but Titus Lubega shot weakly while inside the area after he was played in by Muwonge. With 15 minutes to play, Wakiso sent in Steven Bengo in place of Ssenkumba in an attempt to add more creativity upfront. With the visitors struggling to create telling chances, they always looked suspect on the counter and were made to play with just a minute to play when Sydney Ssenyonga scored UPDF’s second to seal victory for the home side. Despite the loss, Wakiso still top the Elgon Group with 33 points from 16 games while UPDF remain 4th, five points behind Wakiso. -Kira United 2-3 Dove FC. -Kiboga Young 2-1 Ntinda United. -Bumate United 1-4 Kireka United. -Entebbe FC 2-2 JMC Hippos. -Dove All Stars 2-1 Amuka Bright Stars.